24-7 Van Lines are in the midst of offering newly adjusted pricing on several of their services, including professional packing, IT maintenance and relocation, and secured storage, while also offering additional discounts for holiday moves. 24-7 Van Lines is providing cheaper alternatives to businesses that use more than one of their specialized services, discounted products when purchased in bulk, and holiday specials. 24-7 Van Lines is one of few Los Angeles movers who offer several additional specialized services, which include professional packing, IT care, secured storage, and insurance specialists. IT specialists are assigned to secure and relocate all business-related servers, and scheduling is done separate from the inventory movers. Storage is offered in offsite facilities. Insurance specialists are also available to sit down with clients in order to review the best options for ensuring the financial security of their inventory. When a business decides to take advantage of more than one of these services, price reductions are implemented automatically. Also being offered are cheaper product packages when bulk purchases are made. 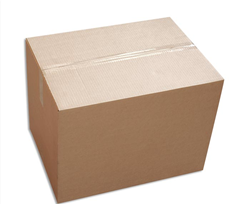 A particular business's packing requirements are calculated by store volume, which sometimes requires more than one package be purchased. These usually contain everything needed for a particular move depending upon the goods to be transported, but may include boxes, packing tape, harnesses, and furniture rugs. When a more sizable package is required, the price can is reduced incrementally. Businesses are offered a free quote which is guaranteed for the duration of the move. Small refunds are available when recyclable materials are returned. Holidays can be one of the most stressful times of the year, and adding another big factor such as a long distance move can make things that much more difficult. Because businesses sometimes close their doors for extended periods during various holidays, these intervals can be some of the best times to relocate. 24-7 Van Lines are hoping to help out business owners by reducing prices even further during designated holiday periods throughout the year. Lana Boice, an accountant for 24-7 Van Lines, had this to say: "These price reductions will ultimately make these holiday periods seem like a much better choice, especially when many Los Angeles movers are closed for business for the duration. Holiday, bulk, and combination specials are all included in the guaranteed quote being offered to customers based on the desired move dates provided. We definitely emphasize taking advantage of these services to make the most of the move." The aforementioned quotes are free and require no obligation. They can be found at http://247vanlines.com/. 24-7 Van Lines is known for its team of experienced professionals who are consistently granted high satisfaction ratings by customers. Additional information and tips for moving can be found on the website, as can the company's regularly updated blog.